Select one of our default sizes in this menu. If the size you want is not available, use the custom size option. Width and height are locked together here on the product page but once you click the customize it button and enter the Design Tool you can then setup a different width and height. Colors displayed here on our website are only close proximity to what you might actual receive. Computer screen settings vary from computer to computer and can vary the perceived colors. The best way to learn more about our colors is to read over our Available Colors list. This is usually only important for very particular customers looking to maintain brand standards for their company, school or non-profit organization. We provide various quantity discount breaks. Because we have no minimum quantity limits you can order as many or as few as you'd like. If you're looking to order a large quantity we suggest ordering one or two as a test run to ensure that you're happy with the results before placing a larger quantity order. Doing this is suggested because custom printed products cannot be refunded. Total Price does not include Shipping or Sales Tax. Being a true fanatic of football means you know the history and it allows you to enjoy football that much more. 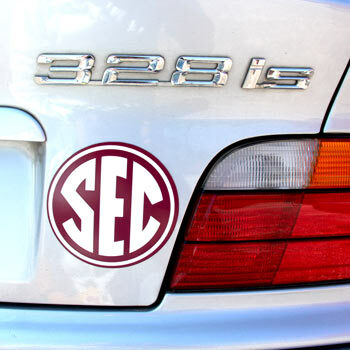 Personalized your own Gridiron Ball Car Magnet perfect for your man cave or the back of yoru car. Important: Read product description before ordering. Flexible 30 mil thick magnetic material has a smooth finish for high quality results. 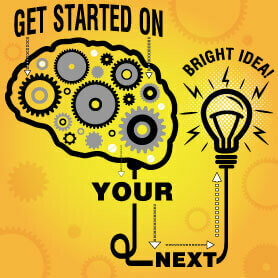 Here at StickyLife.com we believe that if you can "Think It, You Can Stick It". Create your own custom magnet for your car, truck, or SUV with this same exact philosophy. 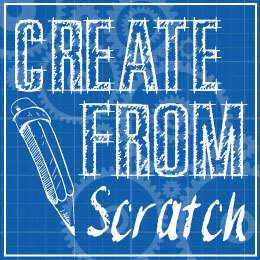 You can add text, graphics, or upload your own art-work. 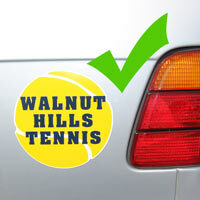 Get those creative juices flowing and design a great looking car magnet! Before placing your order we suggest making sure that the part of your vehicle is metal and that a magnet will stick to the area of focus. Some vehicle manufactures will substitute aluminum for light weight doors that are dependent on hydraulic lifters. And as everyone knows - magnets will not stick to aluminum. Other possible surface area issues arise from aftermarket fiberglass replacement parts and areas repaired with bondo. If your car was a second hand purchase don't assume that the area is completely metal. Take a lightweight refrigerator magnet and test the area that you intend to apply your magnet to. At the same time we suggest measuring the area to make sure your magnet will fit the area. Make sure the area is flat and void of any folds, creases or other body panel formations that will prevent a smooth solid contact. We've found in the past that if the magnet does not have a solid application surface airflow has the potential to lift the magnet off the car body. The result is a lost magnet when driving down the road. Magnetic strength on our magnetic products is strong but air flow is usually more forceful than most people realize. A helpful tip for selecting the right size and shape: Print and cut a piece of paper with a similar design including text. Tape your cutout onto your car or truck and then stand back to see how it might look. Many times customers will learn that their size is too small or too big depending on their design. It is important to clean the vehicle surface and back of the magnet before application. In addition a thin layer of car wax should be applied to the vehicle surface and back side of the magnet especially during the summer months. For magnets that are exposed to heaver amounts of sun and heat a heavier coat of was may be required during application. 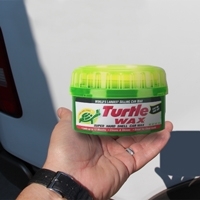 A heavier wax coating may also help prevent damage from trapped water, dirt and road chemicals. Remove weekly. Especially before sending your vehicle through a car wash.
Let one edge of the magnet contact the vehicle in the desired position. Then let the magnetic force do the work as it positions the sign in place from starting edge to opposite edge. If the sign is out of position, peel it off and repeat. Do not slide magnet to obtain proper position. Any dirt trapped underneath the magnet may damage the vehicles surface coating. Make sure the magnet is smooth against the vehicle with no trapped air underneath. In winter, for conformability purposes, the temperature of the magnet should be a minimum of 50°F, but the temperature of the vehicle surface matters little. Some surfaces on your car or truck may require special attention. 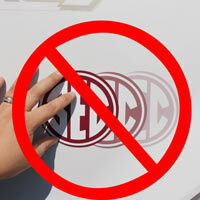 Surfaces that contain factory decals, pinstripes and molded body panels may cause a separation between the surface and the magnet. Even a thin separation may be all that is needed for air flow to get under the magnet and peel it off while driving down the road. We suggest checking these areas on a weekly basis for the first 90 days. Always remove your car magnet before sending your vehicle through an automatic car wash. Many car washes use chemicals that may damage your car magnet. This is especially true during winter months. For vehicles (and many external applications) remove the magnet weekly and dry the vehicle surface and the back of the sign. This keeps moisture from collecting between the car and magnet. StickyLife.com car magnets are not intended for applications where petrochemical contact may occur. For example: next to your car’s gas tank. Substrate selection, exposure angle, environmental conditions, and maintenance will affect actual performance. Continuous exposure in regions that experience maximum sunny days will result in decreased performance and may cause the magnet to stick to the car in a semi-permanent fashion. Remove magnet after a snowfall or rain, wipe dry and reapply. Also, remove magnets before pressure washing, especially in winter, as most car washes use de-icing chemicals that could damage the magnet face. 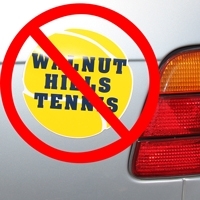 If you ever experience an issue with your car magnet please feel free to contact us and let us know about it. Following these care and maintenance tips will help provide you with optimal results. All of our custom car magnets are made right here in North Carolina. 3"x4.6" 5"x7.68" 7"x10.75" 10"x15.36" 15"x20"
The decals are professionally printed and shipped. Very pleased and have ordered more. I had great experience with their personal involvement in making sure my design would work and delivery time-frame would be met.